From developing user-friendly navigation to content development, search engine optimization, and everything in between, I am very experienced with developing websites big and small. In addition, I am skilled at setting up pleasing, user-friendly social profiles on every major social media outlet, as well as consulting on social media strategy and providing training on the various platforms available. 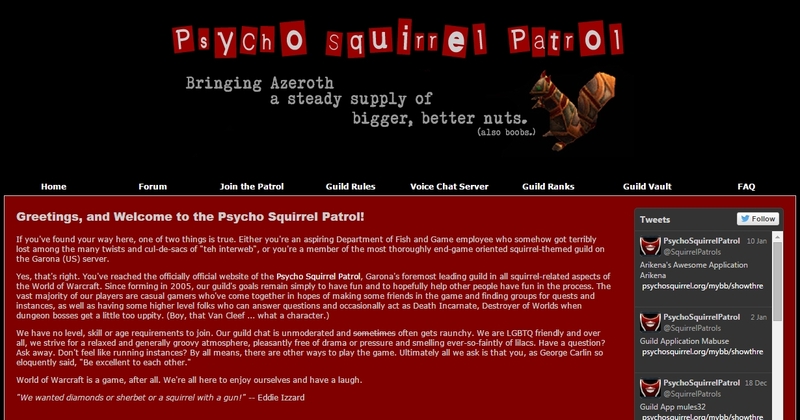 I am also an experienced community manager. Here is a portfolio of websites that I have created and for which I developed content. 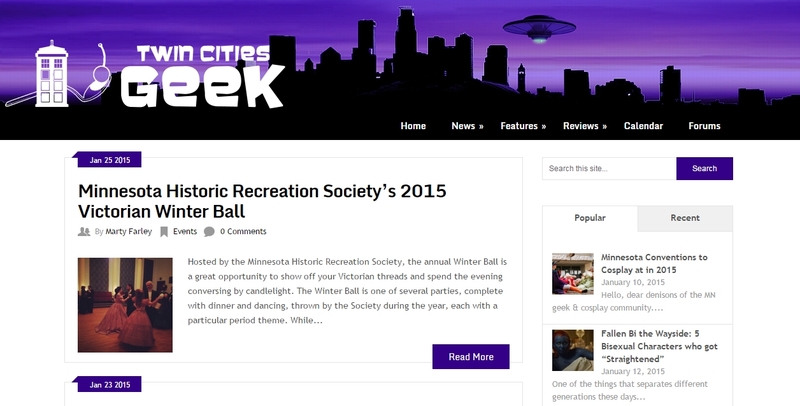 Twin Cities Geek is a news & culture magazine and web portal for the geek community in Minnesota that I founded and manage. 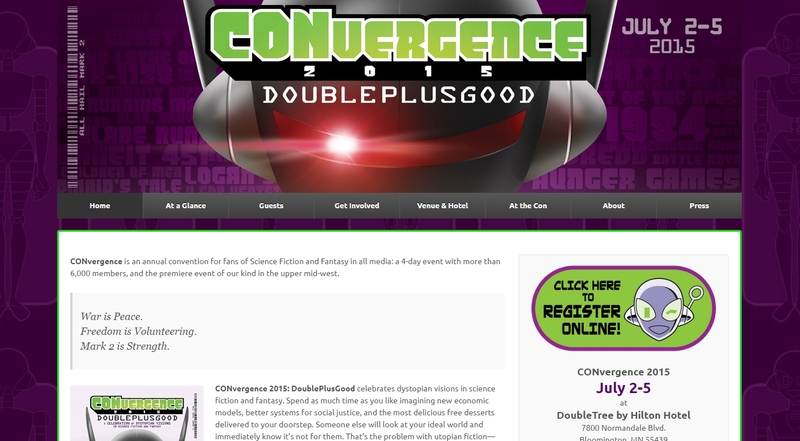 CONvergence is an annual event with over 6,000 members and volunteers. It was important to organize and present lots information while taking care to communicate that information in an efficient and user-friendly way. Christopher Jones, a professional comic book illustrator for over 20 years, needed a website that would help established fans find him, as well as generate new leads for jobs, convention appearances, and art sales.